We’re proud of our RiderCoaches. These folks are the real heroes of our school, and will make your Total Rider experience one you’ll never forget! 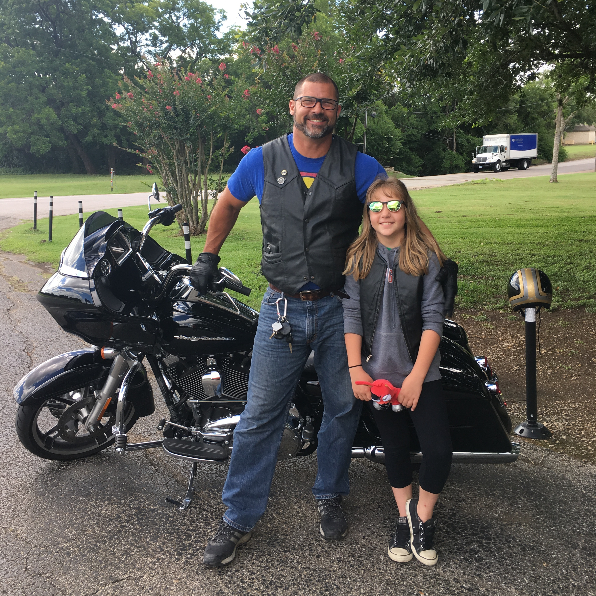 Jeffrey Alford, Program Manager: I am a native Texan but I have lived all over the world and have been a motorcycle enthusiast all my life. I have over 100,000-lifetime miles, and before getting out of the US Marines in 2013 I became the Battalion Safety Officer, which afforded me the opportunity to become a RiderCoach. I am a lifetime student and will jump at the chance to learn something new. I have completed several advanced street and beginner racing schools in an effort to better not only myself but those I come into contact with. With Total Rider, I have come full circle, from student to RiderCoach and truly enjoy seeing new riders share the passion for motorcycling. Chet Roby: I am a native Ohioan, moving to Texas in 1995, thus giving me 11 months of motorcycle riding, versus the 6-months in Ohio. I am a firm believer that motorcycling is a life-long learning experience and therefore choose to ride whenever possible, including to and from work on questionable weather days. My travels have allowed over 100,000 safe miles on both two wheels and three wheels, as I am certified through MSF to teach both two wheels and three wheels. Many basic motorcycle skills are perishable, thus the importance of riding to reinforce these skills, which can become rusty, if not used regularly. My focus in teaching motorcycle safety is exposing students to ways of riding safer by understanding the risk involved in motorcycling and risk taking and developing a strategy in managing risk. Ride safe. Scott Rader: Having “the wind in my face” is a lifestyle I came by honestly & early. An old black and white family photo shows me at a few years of age, holding on to the tank chrome, seated in front of my father on his Triumph. After a childhood of riding friend’s minibikes and go-carts, I bought a Honda CB350 – a friend rode it home for me. I had 2 short weeks to learn to ride it and take the PA motorcycle license test. The following morning, I rode my only transportation 14 hours across 6 state lines to start my second year of college. That was all it took. I have since owned numerous motorcycles, and enjoyed commuting, cruising, and touring the US and Mexico. Early in 2016 a sponsor dealership was looking for new coaches, something I had considered for many years – it took little time to get on board. I am a life-long learner and teacher at heart. I thoroughly enjoy every time a new rider has an “ah-ha” moment – whether it be a “safety-mindset” or an “improved-skillset”. Ride safe. Brad Lancaster: I’ve been a RiderCoach since 2002. My current motorcycle is a 2012 Harley Davidson Street Glide. I began riding when I was 8 years old and have been an active motorcyclist all my life. Teaching has been my way of giving back to the motorcycling community and I enjoy watching people make their dreams come true of taking on the two-wheel challenge and enjoying the ride. Choon Gan: I live in South Austin, but am originally from Singapore. I came to Austin for college and just fell in love with the city. Motorcycles fired my imagination early in my childhood when I used to pour over my father’s old photo album every so often studying the pictures of him astride his Norton. By then, my dad had long given up riding, so the only way for me to get my motorcycling fix was to beg my uncle for rides on his Honda Cub whenever he came to visit. I’ve now been riding bikes for over 35 years and been a RiderCoach for over 20. It has been and continues to be a pleasure to help folks learn to ride and to see them on their way to becoming better, safer riders. Amanda Stark: I have always had a passion for riding and currently own a 2010 Harley Davidson Dyna Wide Glide. In the few years I have been riding, I have ridden to Mexico, Louisiana, all over Texas and currently riding as my daily commute. Shortly after I started riding I found myself mentoring other riders, so I decided to make it official and became a rider coach. Riding motorcycles has been the most exciting and rewarding experience and I want to share it with everyone I can. Glen Pugh: I am originally from Van, Texas and currently serve in the Air Force at Dyess AFB in Abilene. I have been riding steadily since 1999 and have just under 100,000-lifetime miles in the saddle. I started teaching for the MSF in 2001 at Sheppard AFB, Tx in Wichita Falls and have taught in multiple locations since then. I have owned a 99 Yamaha V-Star Classic 650, 98 Honda Shadow Spirit 1100, ’01 Suzuki Intruder 1500a and I currently own an ’03 HD Road King Classic as well as a ’15 KTM 1290 Super Adventure. I became a Rider Coach to help others enjoy motorcycling and to keep my skill sharp as well. Arsenio DeLara: I was born & raised in El Paso, TX. My riding experience began when I was in middle school, riding my friend’s dirt bike – without my parents knowing, of course. I found myself having to explain quite a few scrapes, bumps & bruises. I joined the Marine Corps at 18 & never looked back. I experienced an awesome, but very challenging & extremely rewarding career, filled with many opportunities. I visited & rode motorcycles in many different countries; with many different riders. Riding with locals, I learned a myriad of techniques & riding etiquette that helped me become a much better, well-rounded rider. I became a MSF Instructor in 2007 because of my passion for safe motorcycle riding & as my way of giving back to fellow Marines & service members, doing my part as a leader, ensuring each rider is trained & taught how to properly / safely operate a motorcycle, so he/she may have an enjoyable experience as a rider. Since then, as a retired Marine, I have been blessed to continue giving back, off base now, sharing my motorcycle safety education & experience with soon-to-be riders of my community – so they too can become safe / vigilant motorcyclists; embarking on long & enjoyable riding experiences. I look forward to learning from & with each one of you. Keep the shiny side up & the rubber side down! Gene Prentice: I have been riding for 23 years and have have been an MSF Rider Coach since August 2016. In addition to having coached the Basic Rider Course, BRC2, Advanced Riders Course and the Military Sport Bike Riders Course, I was the motorcycle mentor for over 250 motorcyclists at Brooke Army Medical Center. 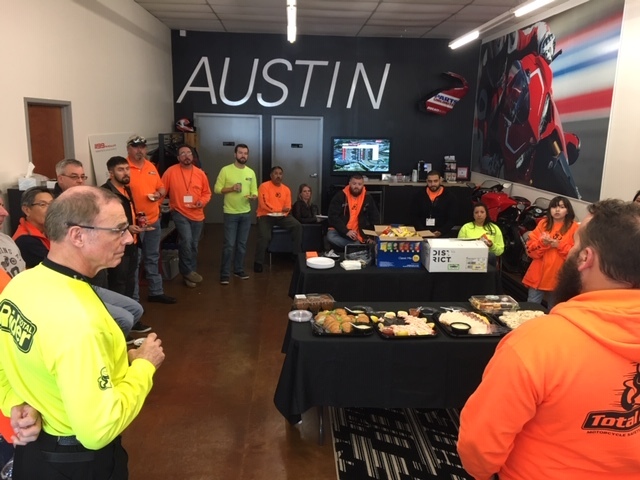 Volunteering for safety presentations at Joint Base San Antonio in a multitude of areas and planning rides are all ways I enjoy giving back to the motorcycling community. Jeremy Deckling: I am from the hills of West Virginia and I travel the state of Texas coaching. I have 30 years of riding experience to draw from when I coach. Right now I own a Harley Davidson Dyna Wide Glide but over the years I have owned Hondas too. I mostly ride cruiser style motorcycles. I have been a rider coach for the last few years trying to pass on good riding habits to the people I teach. 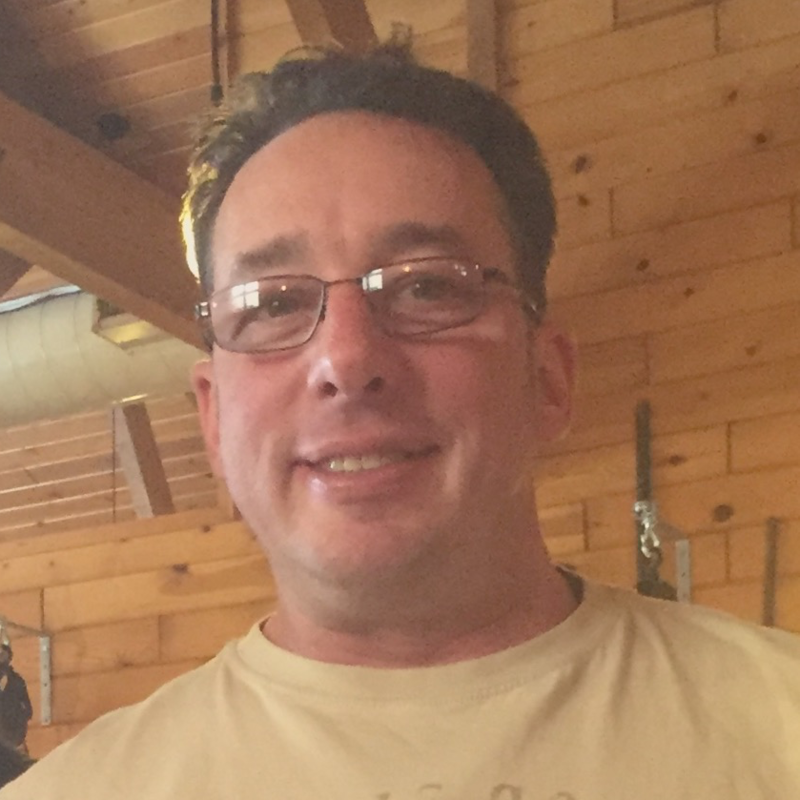 Brian Callanan: Although Brian is one of our newest RiderCoaches, he has completed more than 75,000 miles on a variety of motorcycles. Brian has been to 25 states on a motorcycle, from Maine to the Florida Keys, Ohio to the Blue Ridge mountains of Tennessee, and all roads in between, even a 2-up trip across Mexico. After riding up and down the east coast for about 15 years, Brian decided to make central Texas his home 3 years ago. He joined TR in order to give back to the local motorcycle community. 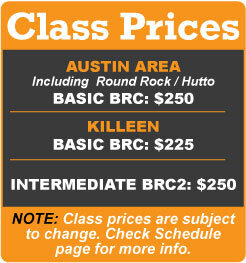 Brian is a daily rider, and commutes into downtown Austin, no matter the weather. He is also committed to being a lifetime learner and sharing his knowledge and passion for motorcycling with anyone willing to listen. Kyle Mason: After 25 years of living in New Jersey, I had always promised myself I would eventually become a motorcycle rider. So within 1 month of moving to Austin in 2014, I obtained my motorcycle license and bought my first motorcycle. I’ve bought 5 motorcycles since, and my daily ride is a 2015 Honda VFR800 DLX. Riding has become more than just a daily routine; it’s my passion. As a RiderCoach, I want to help build that potential passion for others interested in riding. Abraham Hamad: I was born and raised in Saskatchewan, Canada. I moved to Texas in 2010 and started riding motorcycles in 2013. I was hooked from my first ride when I took the Basic Rider Course. Motorcycles have been a constant passion since then. I believe in constant education to improve riding skills and developing safe riding habits. Rob Carpenter: I was born and raised in Santa Cruz, California. My family and I moved to Austin, Texas 12 years ago. I have been riding motorcycles since I was 10 years old. It all started with 1969 Hodaka ACE 90 my dad had given up on. I got it running and rode it till the wheels fell off. I enjoy riding in the hill country. Working and building motorcycles is also a lot of fun. I have many miles of riding under my belt, in all sorts of terrain across the United States. Once a student, and now an instructor, I look forward to helping people find that freedom of riding safely. Cheryl Kane: I came to motorcycle riding later in life 11 years ago while living in Albuquerque, NM, but it was a life-long yearning I was finally able to realize. Not long after taking the MSF Basic Rider Course I moved to Texas and cut my teeth on county roads, cattle guards, and low-water crossings. I put 30k miles on my bike in less than four years and I’m pretty sure most of it was not in a straight line! For two years my 2009 StreetGlide was my only transportation. I have always mentored in some capacity over the years and inspired by a friend, I realized being a RiderCoach would be immensely rewarding for me. In May of this year I sold my 18-wheeler to pursue more meaningful, people-oriented work and here I am. I currently ride a 2009 HD Softail Custom. Tim Shea: I’m originally from upstate New York, a Desert Storm War Vet, have ridden motorcycles in 17 countries, and most of the U.S.A. While the old school Harleys are my favorites to ride, I’ll ride anything with two or three wheels. In 2007, I became an MSF Rider Coach for various courses including the BRC, the ERC, ARC, 3-Wheeler, and SMART Trainers. In addition, I helped maintain the certifications of the NY State Motorcycle Police Force. Coaching allows me to give back to the motorcycle community and it reinforces my basic rider skills, reminding me that safety and risk management is key to enjoying a healthy motorcycle experience. Riding is my passion; there isn’t much that a tank of gas and a long ride won’t fix. Kenan Rappuchi: I grew up in Northern Virginia where I started riding mini-bikes at 9 years old. My first ride on a ‘real’ motorcycle was a neighbor’s 1973 Honda SL70, on which I learned the hard way to straighten the handlebars before applying the front brake. After serving as a Seabee in the US Navy, my profession moved me to Boston and then Northern California where I became a licensed competitive motorcycle roadracer in 1997. During my 9-year racing career I met and raced with several top professionals at some of the best racetracks in the country. 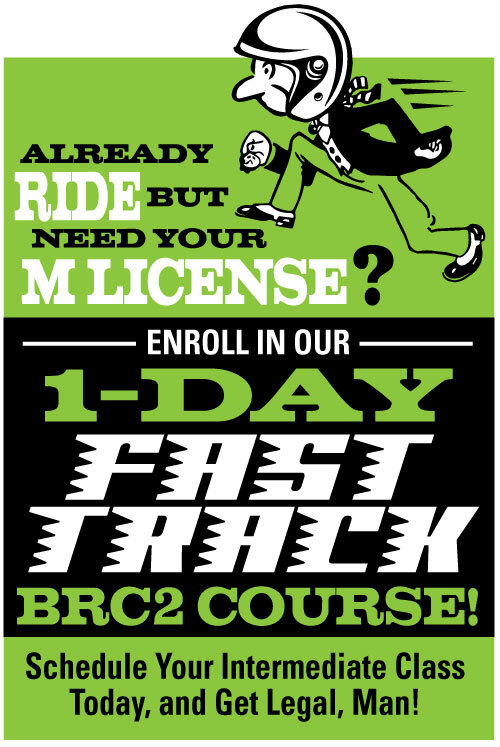 I also mentored aspiring new racers for licensing qualification and advanced street riders during track days. I moved to Round Rock in 2006 and continued instructing for several track day organizations, and also worked as a Tech Inspector for the July, 2011 US MotoGP round at Laguna Seca. I became an MSF Rider Coach in November 2017 and now enjoy casual riding on my 2017 Street Glide Special, as well as helping new riders become knowledgeable, safe riders and lifelong learners. Bill De Sola: I have been riding motorcycles since high school. I use my bikes as primary transportation and for pleasure. I’ve toured practically the entire United States, out on the road for 2 to 3 weeks at a time. My most recent trip was last July, crisscrossing the Rocky Mountains all the way to the Canadian border and back. I have some dirt bike experience having ridden motocross and desert riding for a couple of years while stationed in New Mexico. I am from many places, having been a military brat and serving in the U.S. Air Force. Richard Harris: I was born and raised in the Great State of Texas. I’m originally from North Texas, I moved to the Texas Hill Country in 2014. I’ve always had an interest in motorcycles. My first motorcycle was an 80’s model Honda CB650, I went from that to a Honda VTX 1300, and then onto Harleys. I currently ride a 2015 Harley Road King. I obtained my motorcycle license years ago, the old fashioned way. I tested and received a class M endorsement with the restriction that I had to ride within sight of a person licensed to ride a motorcycle who was 18 yrs. or older. After riding for a while and gaining some knowledge of how to operate a motorcycle on the streets, and when I thought I was ready I went to DPS and took the road test. The restriction was lifted from my license and I was on my own. I can remember thinking that there had to be a better way. I had minimal skills and very little experience. I had to learn through trial and error. Well, there was a better way and in 2013 SB 763 was passed in the 83rd legislature that bill requires that a motorcycle training course is completed to become licensed to ride a motorcycle in Texas. This is why I am an MSF instructor. I want to teach people through the MSF curriculum how to be a safe responsible rider who makes good decisions. Dan Summerlin: For the past 20 years I’ve ridden the central Texas area. The last few years I’ve immersed myself as much as possible into motorcycles and motorcycling. From commuting, day trips, interstate road trips or track days I’ve embraced motorcycling as a mode of transportation. I am anxious to help others gift some of this to themselves.